Crumbling vintage mansions, ill-maintained forts and ruined temples are sights that all of us encounter from time to time. A closer examination, however, reveals vestiges of artistry and stateliness that are hidden by the subsequent lack of care. We tut-tut and go our way thinking somebody ought to do something about it. Dr T Satyamurthy, formerly from the Archaeological Survey of India (ASI) and Archaeology Department of Kerala, set up REACH Foundation at Chennai. His team of volunteers at REACH believe that each of us is the ‘somebody’ who must reclaim our heritage with pride. REACH’s aim is the renovation and preservation of India’s heritage of buildings which is varied yet unique to each region, influenced by and constructed to suit local conditions. Only a fraction of it is preserved; much of it is dilapidated and requires urgent attention. Many heritage buildings are in villages whose populations are alarmingly ignorant and alienated from their surroundings. The modern Indian educational curriculum also lays emphasis on career development courses rather than on culture-development that fosters heightened awareness of the society we live in. REACH wants to stem this rot and increase heritage awareness. To begin with, REACH focused on Tamil Nadu’s 70,000 to 80,000 temples of which around 30% are ancient. Its diverse and well-qualified team comprises epigraphists, history enthusiasts, restorers, lime & mortar experts, ASI-trained workers and scholars in disciplines like mathematics, geology, temple architecture, painting and sculpture. The intent is to involve villagers in renovation as well as maintenance of the edifices in their vicinity. Training in preservation and restoration techniques is imparted through practical demonstrations and computerised presentations. Once the blueprints are prepared, traditional, time-proven methods and materials as in the original structure are used for renovation; not sand-blasting, cement, acrylic paints or enamels. Since 2006, 14 temples have been cleaned and restored with budgets ranging from Rs20 lakh to Rs2 crore. Villagers contribute a proportion of the corpus in kind or labour towards asset-building for the community. The rest comes from donations. The restoration of the Kailasanathar temple at Uttaramerur, built in 742 CE, is being done in collaboration with the civil engineering department at IIT Madras. It will be completely restored and re-dedicated in April 2010. REACH now has a team of 60 volunteers working in Karnataka and Kerala. It also offers training through the Academy of Archaeology and Sciences of Ancient India (AASAI), including regular classes on reading inscriptions in ancient Tamil. It has conducted a symposium for Heritage Wardens and also held an international seminar on remote sensing of archaeological sites in collaboration with ASI-Chennai circle and Bharathidasan University, Tiruchirappalli. Itinerant devotees forming local Uzavarappani groups traditionally undertake temple cleaning and are co-opted into the effort after training them. Interested villagers have also trained as guides. REACH conducts heritage tours in and around Chennai and proposes to introduce audio guides to important heritage sites in Tamil Nadu. It needs volunteers to make the movement pan-Indian by taking it to varied heritage sites. In June 2003, Raju was only seven when he was abandoned, found by the police and brought to the Indian Association for Promotion of Adoption & Child Welfare (IAPA). He was a withdrawn child and had scabies. It was later found that he even suffered from tuberculosis. But although his parents could never be traced, life changed for him that day. IAPA placed him with an experienced foster family on its rolls even while it followed the statutory norms under the juvenile justice system. He lived with his foster family for two years, during which he was treated for his illness, taught better hygiene, enrolled in school and taught to be more social. Once he was medically fit, IAPA found him an adoptive family. He is among the few older children who have found a permanent home. IAPA, a non-profit, voluntary organisation was started in 1970 by a group of social workers, adoptive parents and lawyers who were concerned about the fate of abandoned and destitute children based on their personal and professional experience. 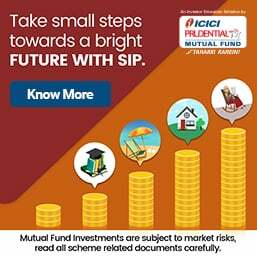 Over the past 40 years, it has evolved and expanded the scope of its work from promoting adoption among Indian parents to strengthening family life, health, development and education of children in difficult circumstances. It works with children who have lost their own families permanently, those who risk a blighted future due to a family crisis, underprivileged children who need support for education and infants born out of wedlock who risk being abandoned. As with Raju, IAPA works at finding permanent homes for abandoned or orphaned children and even while they wait for adoption, it arranges for them to be cared for by foster families that provide personalised attention and nurturing of the child. Adoption is a sensitive subject. But approaching it, regardless of who is asking the questions, with a clear and comfortable understanding of your own personal feelings facilitates the discussion. For the child, abandonment leads to the burden of feeling rejected. ‘Why did my mother leave me? Did I do something wrong? What if my adoptive parents leave me, too? Will they still love me if I get into trouble? Will my friends think less of me if they find out I was adopted?’ These questions haunt abandoned children until they feel secure and comfortable in their new environment. IAPA offers family counselling, mental-health awareness programmes and even health check-ups and child guidance programmes—all these services are aimed at ensuring stability and security for the child as well as the parent giving a child for adoption or new parents who adopt a child. IAPA tries to spare children the trauma of separation from their own environment and being placed in an impersonal institution. It does this by finding alternative care with the child’s extended family or even with a willing neighbour. In rare cases, it even finds a temporary foster family. IAPA’s holistic approach extends to life-skill enhancement, vocational guidance and facilitating income generation through self-help groups or bachat gats. It also provides financial aid and counselling and works at tapping community resources wherever necessary. At any given time, IAPA has about 100 children and their families under active assistance. Additionally, IAPA works at awareness building and advocacy to influence policies and raise service standards. The need for adoption is now widely recognised, so IAPA focuses on preventing the abandonment of children and ensuring the secure surrender of traumatised children. One way of doing this is through dissemination of useful information at community levels in lower socio-economic strata. You could support IAPA’s programmes, like a child’s long- or short-term foster-family care, sponsor a child’s education or vocational training, provide medical assistance or donate/volunteer for various services. N Krishnan, a catering graduate from Kamaraj University, worked at a five-star hotel in Bengaluru. He was even short-listed for a job in Switzerland that would have boosted his career. But, instead of serving the well-heeled at a five-star hotel, he chose to give it up to pursue a mission of feeding the hungry and the mentally ill on the streets of Madurai. Once on a trip to his hometown, Madurai, Mr Krishnan came across a homeless man under a bridge who was suffering from extreme hunger. Krishnan rushed to a nearby stall and bought him idlis. The man ate greedily. The overwhelming gratitude in the man’s eyes as he gulped the food changed Mr Krishnan’s life forever. The very next week, he rejected the Swiss job offer and started Akshaya Charity Trust. 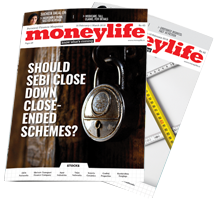 “Had the old man been vocal in his gratitude or thanked me profusely, I would probably have gone my way and never looked back to learn what happens to people like him,” Mr Krishnan told Moneylife. He and his volunteers now feed around 400 destitute people thrice every day, 365 days a year. It costs over Rs15,000 each day. The Trust has served around nine lakh meals so far without skipping a day. Mr Krishnan also received the ‘Unsung Heroes of Independent India’ award from the CNN IBN TV channel last year for his outstanding social work. The award consisted of a trophy and Rs5 lakh. “Our main focus is feeding people… we cook a fresh meal every time and the menu is changed every day,” said a committed volunteer. It all began with Mr Krishnan using his savings to buy food packets for around 30 people in June 2002. Although resource constraints forced him to limit his effort, he has been at the job for over seven years, even though the mentally ill can neither thank him nor understand his selfless effort. The meals include substantive and nutritious preparations like idlis, dosas, pongal, coconut rice and biryani. Care is taken to ensure that the food is neither too spicy nor too oily, but just right to soothe hungry stomachs. Over time, word-of-mouth information about his work has brought in donations. But he still does not have an office and administrative expenses are nil. Neither Mr Krishnan nor his volunteers draw any remuneration. Only the cooks, drivers and assistants are compensated for their work. The Trust is also drawing people’s attention and contributions from places like the USA, Europe, Middle East and Singapore. “We help anyone who is old, helpless or mentally ill who we find on the streets. These helpless people don’t know how to take care of themselves and are usually left on the streets by their families,” said a volunteer who did not wish to be named. Mr Krishnan also helps extremely ill patients who are discarded even by hospitals. He provides them food and medication. He also helps cremate unclaimed bodies. Mr Krishnan wants to build a home for the aged and the mentally ill who are living on the streets of Madurai and ensure they get freshly cooked meals. If his project continues to receive monetary support, his dream could soon come true. His Trust has already purchased 2.6 acres of land with the funds donated by business organisations and other well-wishers. The Trust has mobilised Rs30 lakh so far and construction of two blocks of 4,800 sq ft has already begun. The land has been registered, permissions have been obtained and electrification as well as a bore-well are in place. The plan is to have eight blocks with dormitories covering 24,000 sq ft. The total construction cost is estimated at Rs3 crore and will include a kitchen, medical facilities, toilets and a dining hall. At the moment, construction has halted due to a shortage of funds. “We come across mentally ill women who are exploited by anti-social elements and have even delivered babies on the street. That is why we want to build this home on a priority basis,” said a volunteer. You can help this plan to fructify through monetary donations or by volunteering your time.